New bill filed that would repeal RFS. Senator John Barrasso (R-Wyo.) along with one Democratic and six Republican cosponsors, has introduced S. 1195, “The Renewable Fuel Standard Repeal Act”. The bill would repeal the RFS in its entirety. In a statement, Sen. Barrasso said that the RFS “is fundamentally broken and beyond repair”. The language of this bill is identical to an amendment to the Farm Bill that Sen. Barrasso filed but which the Senate did not consider. Please see a previous post on my Advanced Biotechnology for Biofuels blog for information on other bills pending in Congress relating to the RFS and other biofuels policies. 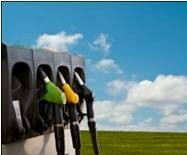 House committee issues fourth white paper on RFS, subcommittee plans June 26 hearing. The House Energy and Commerce Committee has released the fourth of its series of white papers soliciting discussion on topics relating to the RFS. This paper addresses several energy policy considerations related to the RFS, including its role in enhancing energy security. Stakeholder responses were requested by June 21. More recently, the Committee’s Energy and Power Subcommittee has announced a hearing to be held tomorrow, June 26, entitled “Overview of the Renewable Fuel Standard: Government Perspectives.” Scheduled witnesses are from the EPA, the Energy Information Administration, and the U.S. Department of Agriculture. Look for a report on the outcome of this hearing in a future post on this blog. House subcommittee hearing on RFS features one-sided testimony. The RFS was the subject of a hearing held on June 5 by a subcommittee of the U.S. House Committee on Oversight and Government Reform. According to the statement of the Subcommittee Chair, James Lankford (R-Okla.), the purpose of the hearing was to “see how we can alleviate the pressure on consumers” from consequences alleged to have arisen from the RFS. The line-up of witnesses betrayed the same focus, featuring three industry representatives from interests that oppose the RFS, and including only an EPA official and a representative of the Union of Concerned Scientists to defend the policy. A good summary of the testimony, and the reaction of biofuel industry spokespersons to the hearing, can be found here. Senate committee jurisdiction over RFS. It has been reported that two Senate committees have been jostling for control over the RFS. These are the Environment and Public Works (EPW) Committee, chaired by Sen. Barbara Boxer (D-Calif.) and the Energy and Natural Resources (ENR) Committee, chaired by Sen. Ron Wyden (D-Ore.). The EPW Committee historically has oversight over the EPA and the Clean Air Act (of which the RFS is a part), which administers the RFS, but the ENR Committee has jurisdiction over energy policy, including fuels. Sen. Wyden and the ENR Ranking Member, Sen. Lisa Murkowski (R-Alaska) have both expressed the view that the RFS may need to be revisited, while Sen. Boxer has been quoted as supportive of the RFS and skeptical that hearings would be needed to investigate possible changes to the law. California state court ruling on the LCFS regulations. The California Court of Appeal for the Fifth Appellate District has issued a ruling in a lawsuit that was described in an earlier blog entry: POET LLC et al. vs. California Air Resources Board, which challenged the state’s Low Carbon Fuel Standard regulations for alleged failure to complete an environmental assessment before the regulations were finalized. In a ruling released June 3, the Court required the state’s Air Resources Board (ARB) to revisit the regulations it issued for the LCFS and for regulation of NOx emissions, and to reissue the regulations only after an environmental assessment has been completed. The court order allows the current LCFS regulations to remain in force until appropriate corrective action is completed. An unrelated federal lawsuit against these regulations remains pending. New pathways proposed under California LCFS. The California Air Resources Board (ARB) has posted fourteen new LCFS pathways on the LCFS web site. All of these pathways are for processes for the production of corn ethanol, proposed by different companies. Although finalization of these pathways depends on ARB staff review of the petitions submitted by the proposing companies, under the LCFS regulations the pathways are available for reporting and credit-generation as of the date of their website posting. California Energy Future report on the potential for biofuels. The California Council on Science and Technology has released a final report in its “California’s Energy Future” project, a program with the goal of assessing how the state can meet its mandate of 80% greenhouse gas emission reductions by 2050 (relative to 1990 levels) under Assembly Bill 32, the law which created the LCFS and other state regulations. Using economic modeling of several different scenarios, the report found that substantial amounts of low-carbon biofuels will be required to meet California’s emission reduction goals, even when assuming optimistic increases in efficiency, electrification and the availability of other renewable energy sources. The report concluded that, although next-generation biofuels would be available to meet the GHG reduction goals, the availability of advanced drop-in fuels is critical for the ability to more significantly cut fossil fuel use in the longer-term. Another report shows that the LCFS is helping meet greenhouse gas reduction goals. On June 12, ICF International released a report commissioned by the California Electric Transportation Coalition and other partners, assessing compliance with the LCFS and the prospects for its meeting it GHG reduction goals. The report, which is the first of two phases assessing the impacts of the LCFS, found that so far, the blending of biofuels into both gasoline and diesel helped achieve compliance with the regulations. The report also found that the regulations were driving innovation and investment in fuels with reduced carbon intensities, and as a result, fuels such as cellulosic ethanol are coming to be available for the California markets, in spite of the delays experienced in bringing commercial production of such fuels online. These two reports come on the heels of two other reports which were described in an earlier blog entry. These were a status report on the LCFS that was published by the Institute of Transportation Studies at the University of California-Davis, and a report from the Policy Institute for Energy, Environment and the Economy at the University of California at Davis critiquing an unfavorable report on the LCFS that had been issued by the Boston Consulting Group in June 2012. Here’s an update on recent news items and other public policy developments during the last few weeks relating to the use and market acceptance of 15% blends of ethanol into gasoline (“E15″) and other higher blends of ethanol such as E85, including specific updates on actions in several U.S. state legislatures that I reported on in a post on May 23. Florida Governor signs bill to repeal the state’s Renewable Fuel Standard. As previously reported, the Florida legislature passed House Bill 4001, a bill that would repeal the requirement that gasoline sold in Florida be blended with 10% ethanol. On May 31, Governor Rick Scott signed the bill. Although the new law removes the previous blending mandate, it does not prohibit the sale of E10 or higher blends, and so the bill is expected to have minimal effect since essentially all the nation’s gasoline supply is currently blended with up to 10% ethanol. This bill had been opposed by the biofuel industry, including companies such as INEOS and Algenol who are located in Florida, and in response to the signing of the bill, Algenol’s CEO reiterated the company’s intent to investigate other locations for its planned first commercial facility. Maine legislation. As previously reported, the Maine legislature continues to debate bills that would hinder the sale of gasoline-ethanol blends in the state. On May 23, the state Senate unanimously passed a version of the previously-killed bill LD 115, amended to specify that sales of cornstarch-based ethanol would be prohibited in Maine if similar bans were to be adopted in at least 10 other states with a collective population of 30 million. Prospects for full passage are not known. A hearing was held in the Illinois House on a proposed bill that would trade the 20% sales tax break currently available for sales of E10 ethanol blends for a 10% tax break on E15 sales. Advocates on both sides of the debate presented their positions at this hearing. As previously reported, this bill has been pending in the state legislature for some time, and proponents are hoping for action before the legislature ends its current session. In Iowa, a State Senate committee voted on May 17 to retain the advantaged tax status of ethanol blends (19 cents per gallon) relative to unblended gasoline (21 cents per gallon). Also in Iowa, the full legislature passed a bill, H.F. 640, on May 23 that guarantees that local retailers retain the right to offer ethanol and biodiesel blends of its choice, said to be protection against clauses in the supply agreements between retailers and refiners that might restrict such choice. EPA files brief with Supreme Court on E15 ruling. The U.S. Solicitor General has filed a brief on behalf of the EPA on the lawsuit that has challenged EPA’s waivers under the Clean Air Act which have granted approval for E15 ethanol blends. As previously reported, three industry groups including the Alliance of Automobile Manufacturers had filed a petition with the Supreme Court asking the Court to overturn an Appeals Court decision that the groups did not have legal standing to challenge EPA’s actions allowing E15 to be sold in the U.S. The government’s brief stresses the Appeals Court’s decision of the industry group’s lack of standing and states that the groups have not highlighted any flaws in the ruling of the Appeals Court. There is no definitive timetable on the Supreme Court’s decision of whether or not to hear the case; should they decide not to do so, the Appeals Court ruling in favor of EPA would stand.